You can create a user account on our web site which will give you access to a Subscriber Portal where you can track your favorite team(s) throughout the season. In addition you can subscribe to game change notifications. To participate in the CPYBL, we expect all parents, players, coaches, and referees to adhere to our codes of conduct. Please take a moment to familiarize yourself and your son or daughter with these codes of conduct. Our rules document is also available if you have any questions about the rules that govern our league. NEW for 2018-19! Our open divisions offer an opportunity to play basketball for AAU teams looking for a winter tuneup or teams that are created with players from multiple communities within the Greater Cincinnati area (something not allowed in our standard league divisions). We can provide home gym time for individual teams that cannot provide their own home gym at an additional, nominal cost. Athletic divisions are offered for girls and boys in grades 3-6. All teams play a 20 game schedule and are formed via a tryout process. Most grades will have A and B divisions and some will have a C division. High-Rec divisions are offered for most boys age groups and girls 4th-6th grade. Teams are for players who did not make an athletic or school team and want to play in a more competitive environment to work on their skills. Recreational basketball is the lifeblood of our league and is offered for grades 2-12. It provides kids an opportunity to play with their friends and develop their skills in a lower pressure environment. Less competitive, skill development and fun! Can my child play in your league? While we don't register individual players, we do accept teams from our member organizations for both boys and girls in 2nd through 12th grade. What does your league do? 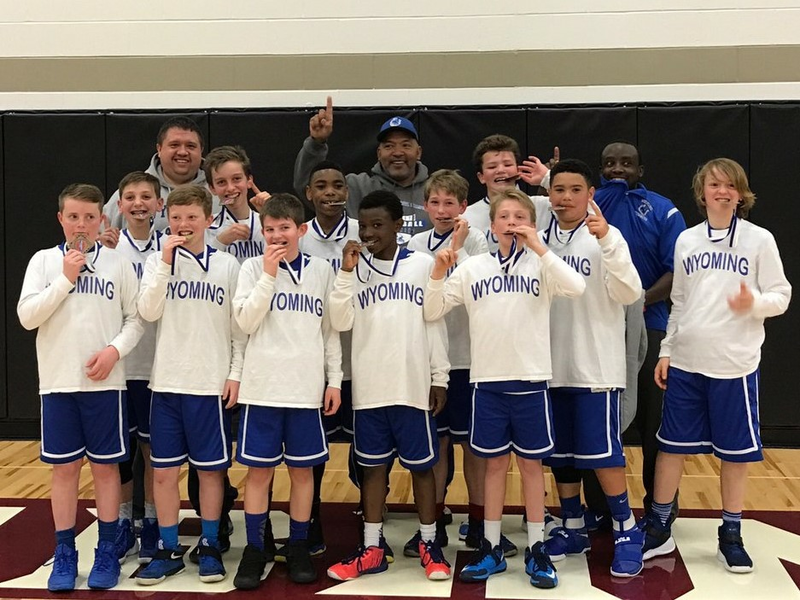 The Cincinnati Premier Youth Basketball league provides an opportunity for the youth of Greater Cincinnati Area to play in a community-based basketball league. Our member communities register teams in our league and we schedule games and provide the other infrastructure necessary to give you the best youth basketball experience possible. Do you have a spring league? We do not have a spring league, but offer one of the largest winter leagues in the Midwest. What is a Liability Waiver and why do I need to sign one? A Liability Waiver is an on-line form must be filled out by a parent or guardian for each player that wishes to participate in our league. The purpose of the waiver is to release the league of any liability in the case of an accident or improper conduct by players, coaches, or fans. Do I need to pay a gate fee to attend league games? Each community may choose to charge admission for regular season and post-season tournament games. Some communities choose not to charge or charge less than the league max which is $7/family, $3/adult, and $1/child. You will receive an email update when the schedule changes at a gym you have subscribed to, including game adds and cancellations. 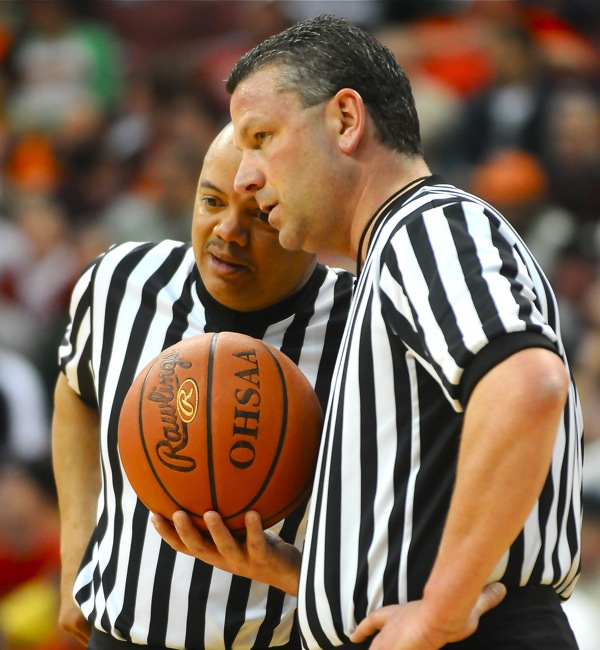 The following is set of common misconceptions parents and coaches have about basketball rules. We will update these throughout the season in an effort to educate everyone on how the game of basketball is played. There is no 3-second count between the release of a shot and the control of a rebound, at which time a new count starts. There is no such thing as over the back. There must be contact resulting in advantage/disadvantage. Do not put a tall player at a disadvantage merely for being tall. There must be contact to have a foul! The mere act of reaching in by itself is nothing. If contact does occur, it is either a holding foul or a pushing foul. A moving screen is not illegal unless contact is made.